With the nomination of the Honorable Richard W. Pollack to be a Justice on the five-member Hawai‘i Supreme Court, the William S. Richardson School of Law is likely to have two Associate Justices on the high court who have strong ties to the Law School. 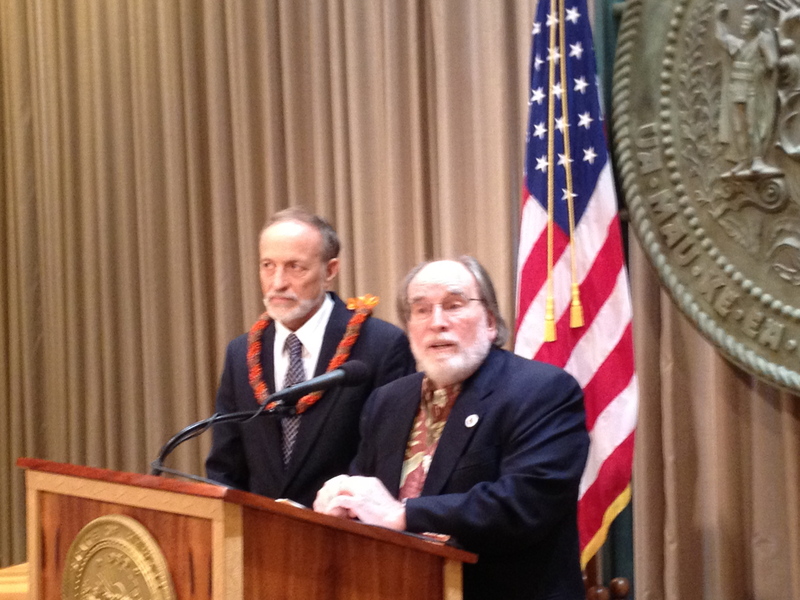 Pollack, named by Governor Neil Abercrombie to replace retired Associate Justice James Duffy, has served since 1994 as an instructor at the Law School in the fields of Criminal Procedure and the Law of Evidence. Because of a restriction on paying state judges who are already paid by taxpayers, Judge Pollack has taught without pay. Associate Justice Sabrina McKenna, appointed by Abercrombie and confirmed last year, is a 1982 graduate of the Richardson Law School who also taught there before she became a judge. She still retains close connections to the school. Pollack was appointed by former Governor Benjamin Cayetano to the Circuit Court bench in 2000. From 1987 to 2000, he served as the State Public Defender. Pollack has written extensively about the rules of evidence, including a comparison of Hawai‘i state court rules and the rules in federal court. He and Professor John Barkai have developed extensive commentaries and teaching materials about the law of evidence in Hawai’i. This would be a 10-year appointment, but Pollack, who is 61, would have to leave the bench when he turns 70, as did Justice Duffy. The nomination is subject to confirmation by the State Senate within the next 30 days. If the Senate fails to act, the appointment becomes automatic.